This beautiful clock is for repairs only. From the late 1880’s to the 1900’s, this clock is defiantly an antique. The wood is beautifully rendered and is a little dusty due to not being used. There is a certain type of glue that is not the same as wood glue or clock fixing glue that may cause some issues for repairs. However, if you are a clock expert than this should not be a huge issue. As it is in the pictures you can notice it is high without weights. This clock’s size is relatively a normal size with a length of 28 inches long and 22 inches wide. 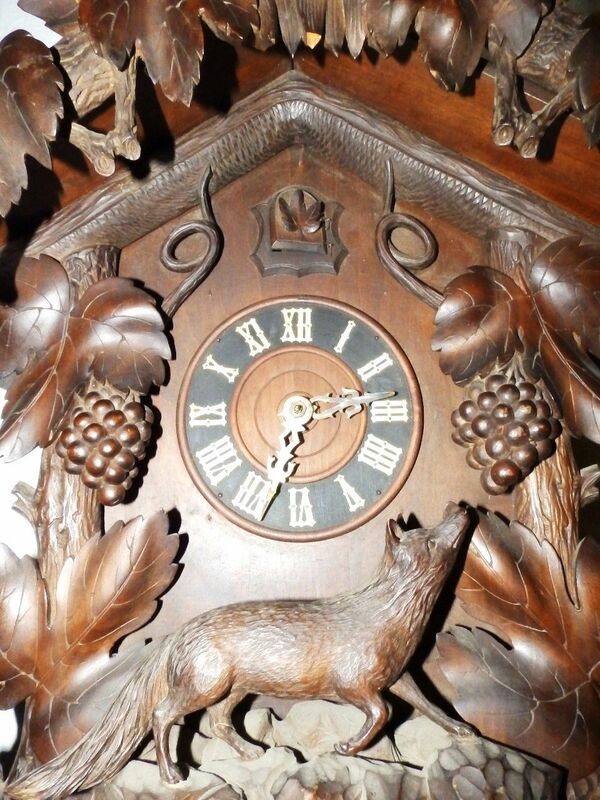 This clock would be a nature lover’s dream clock. It has a dark finished wood that makes the detail even more beautiful. 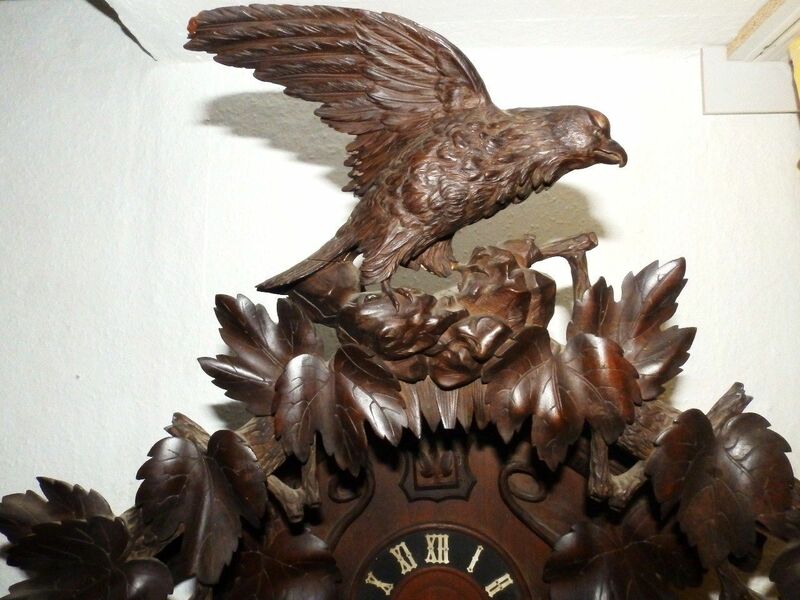 The focal point of this clock is the beautifully carved bird at the top of the clock. 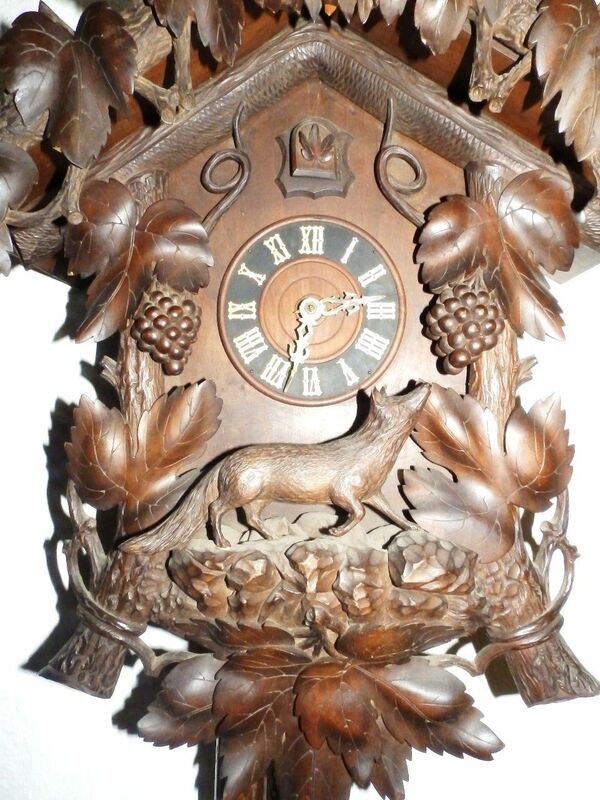 Another amazing detail is the wolf on the front of the clock. These creatures are surrounded by ivy and leaves. The leaves are beautifully carved into the wood. This clock is beautiful and has a great story to tell due to its history. 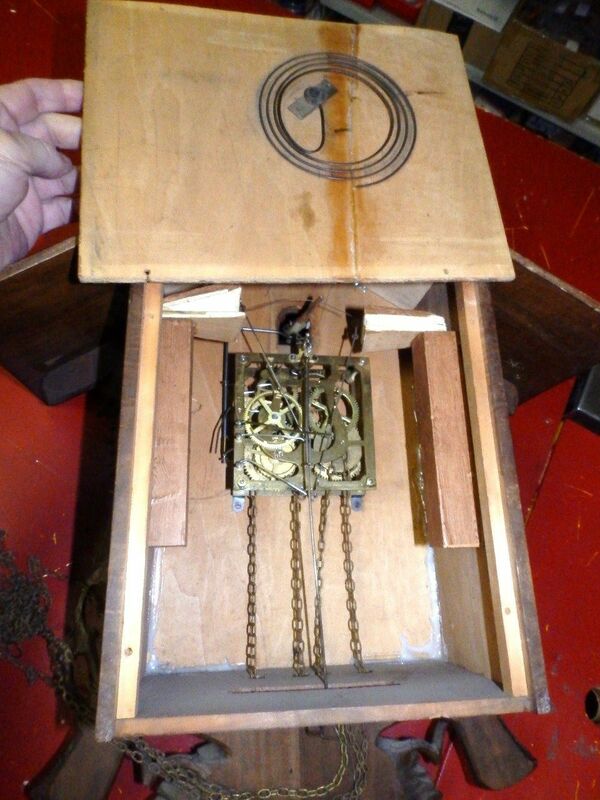 This clock is a little dusty and is in need of repairs, this clock should go to someone who can fix it. The clock is beautiful and hand crafted. This is also an antique that should be treated with care because of the clock’s history. Being from the late 1800’s to the early 1900’s there will surely be history behind this clock. This clock would be absolutely perfect for a clock enthusiast who is willing to take the time to repair it to its original state of beauty. This clock would be beautiful if someone will take the time to take it back to its original state. 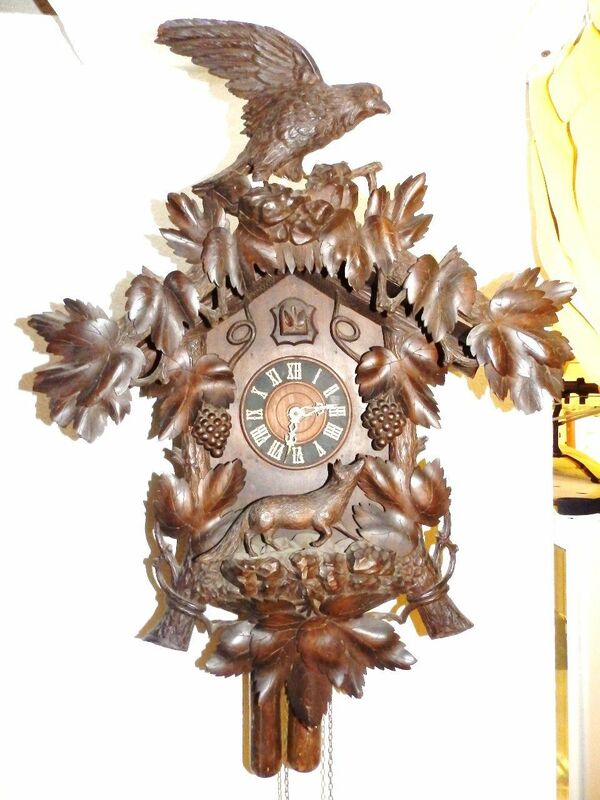 This is a beautiful piece of history that belongs in someone’s house who loves the art of these clocks.